It is clear that some Nintendo fans were sad when the Japanese company announced that it would be discontinuing the Wii U, their ill-fated video game console which was initially released back in 2012. This was due to the fact that the Wii U failed to live up to expectations as it only sold slightly more than 13 million units, way less than competitor Sony’s PS4, which has now surpassed the 40 million mark. Although the Wii U did have some great games released for it over the years like 2015’s Splatoon, there’s no denying that the Wii U was something of a disappointment for Nintendo. So clearly the Japanese company will be looking to move on and make the Wii U a thing of the past, and has already announced its upcoming Nintendo Switch console which was revealed last October and which will be hitting the shelves in spring next year. The biggest novelty regarding the Switch is that it is a hybrid between a traditional home console like a PS4 and Nintendo’s own 3DS, meaning it can be connected to a telly in order to enjoy games like the upcoming The Legend of Zelda: Breath of the Wild on the couch, while the Switch also has its own built-in screen for “on the go” gaming. 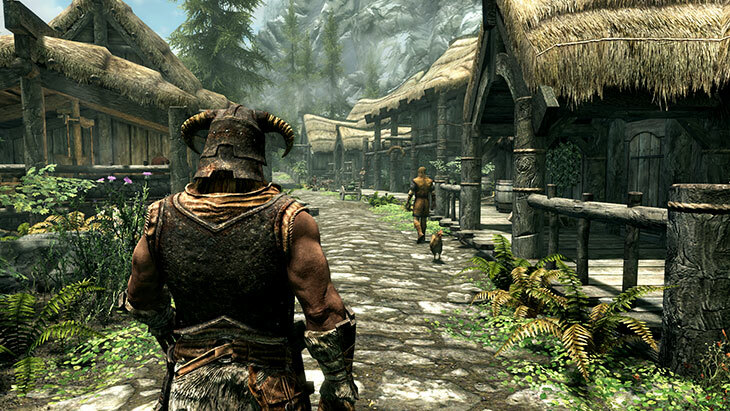 Will the Nintendo Switch be powerful enough to run even old games like The Elder Scrolls V: Skyrim well? And due to the fact that the Nintendo Switch needs to work like a handheld as well as a traditional console, some pundits have wondered how powerful the machine will be and how it will compare to current-gen consoles. And the truth is that it appears the Switch won’t be a hardware powerhouse according to a recent report by Eurogamer, which suggests the machine won’t even match the PS4 when it comes to power. 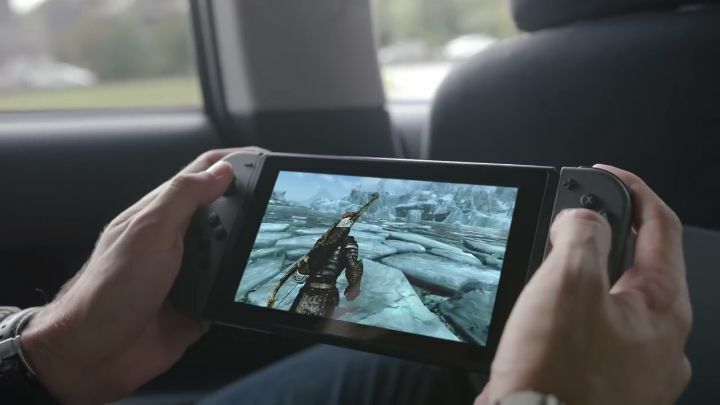 More worryingly, it seems the Switch’s processor will run at just above 300 MHz when operating in “handheld mode”, which is the kind of speed that PC processors boasted back in the 90’s… Of course, the Switch is based on Nvidia’s Tegra X1 architecture (but not on their more recent mobile Tegra X2 chips), which is more efficient than older hardware, but it’s hard to shake the feeling that the console might be a bit underpowered when compared to Sony’s PS4 Pro and especially Microsoft’s upcoming Xbox Scorpio. But still, how games play and look on the Switch will matter more than hardware specifications in the end, even if the console’s main gimmick (play at home and on the go when desired) doesn’t seem so useful. After all, people can play mobile games on their smartphones and Nintendo’s own 3DS as well, while the PS4 and Xbox One are already great options for those who want to game on the couch. Nintendo can still stand out with its own first party video games, though, and games like The Legend of Zelda: Breath of the Wild have looked great running on the Switch truth be told. Although it remains to be seen whether the console will be powerful enough to attract enough third party developers, and also whether the public will fall in love with its “play anywhere” gimmick, for the Nintendo Switch to be a success story like the original Wii was back in the day.